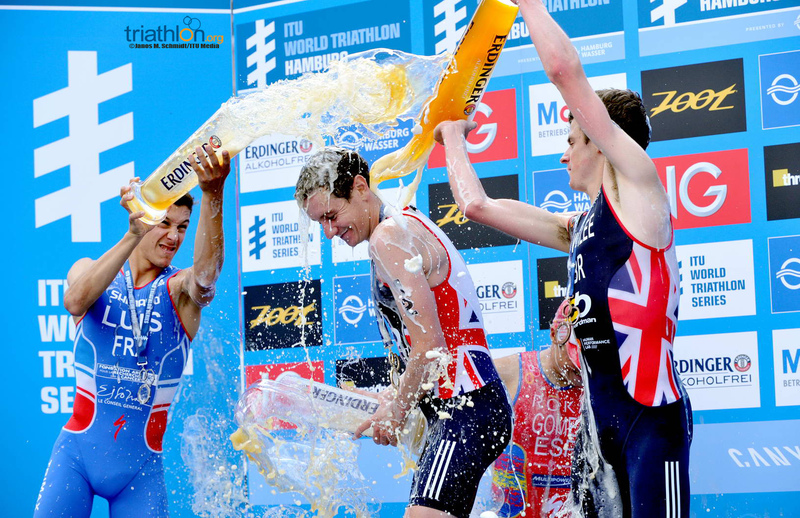 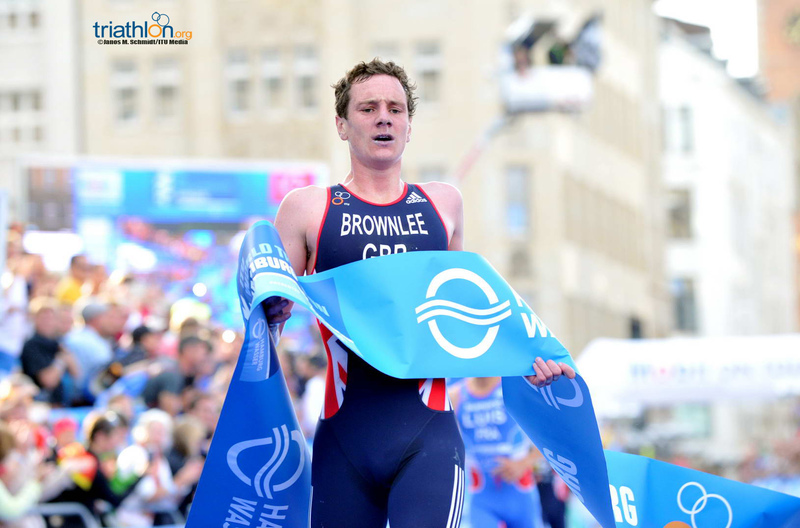 Alistair Brownlee (GBR) said he was relieved afterwards to be back to his ‘old self,’ as the most successful man in World Triathlon Series history finally captured his first win in 2014. 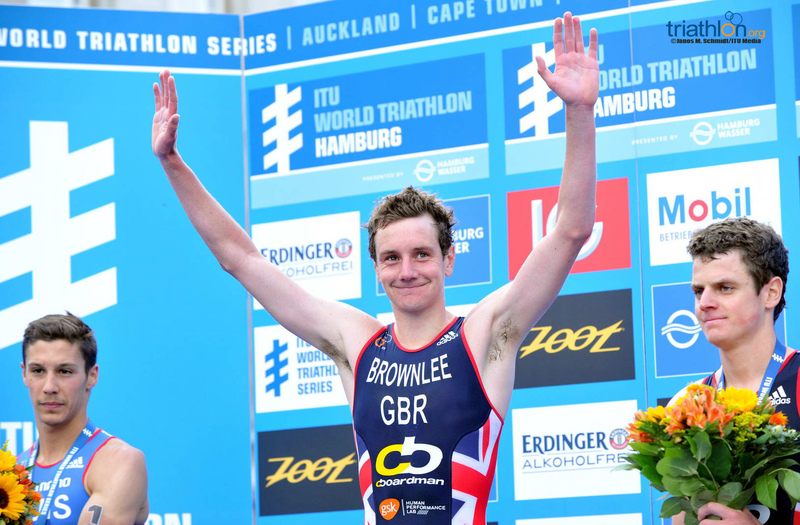 In an event rare in World Triathlon Series history, both Brownlee brothers had failed to record podium places in their past two races, but they righted that record in Hamburg as Alistair sprinted away to the win with 500m to go, and Jonathan Brownlee collected bronze, with Vincent Luis (FRA) in silver. 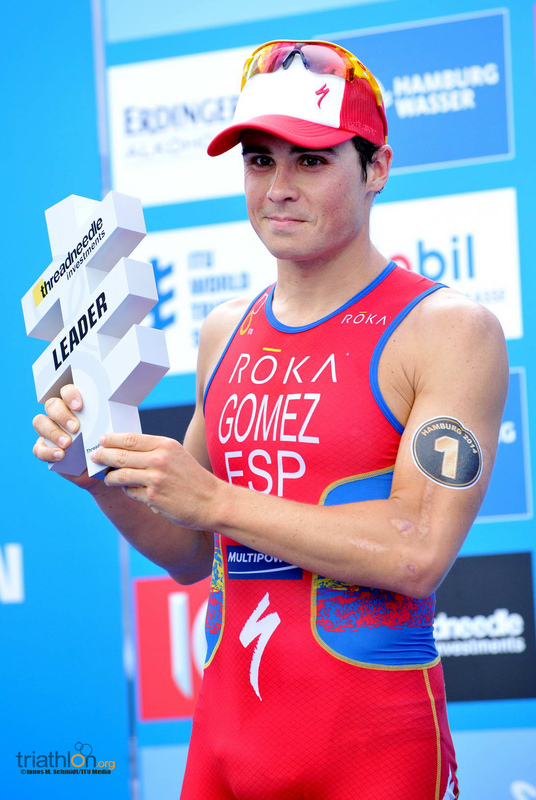 Javier Gomez Noya (ESP) finished fourth but retained his top ranking. 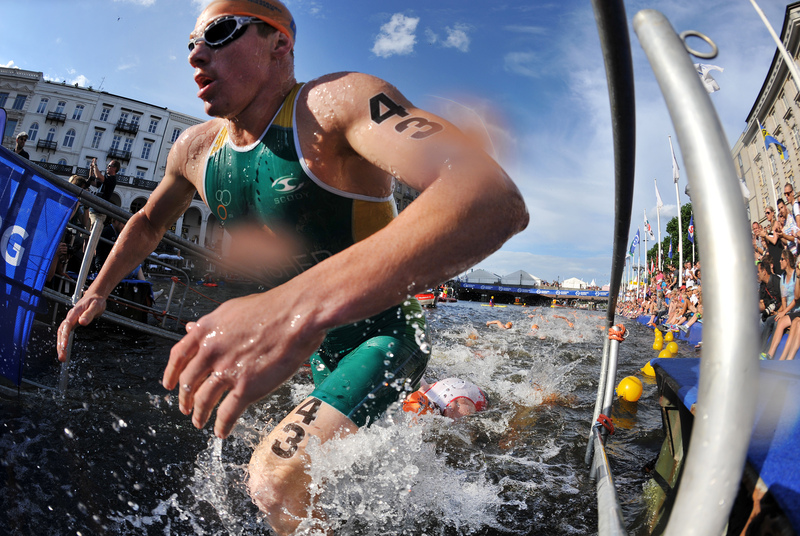 In a characteristically strong swim, Henri Schoeman (RSA) schooled the men’s field, popping out onto the ramp after the one-lap 750m swim first with a body length lead over France’s Aurelien Raphael. 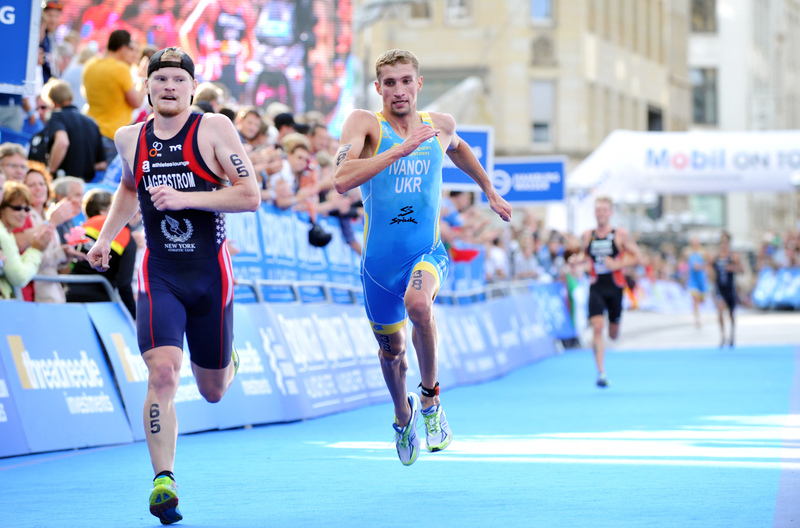 Gomez ran up the ramp right behind the leaders, and joined a small breakway alongside Dmitry Polyanskiy, Aaron Royle (AUS) and three others. 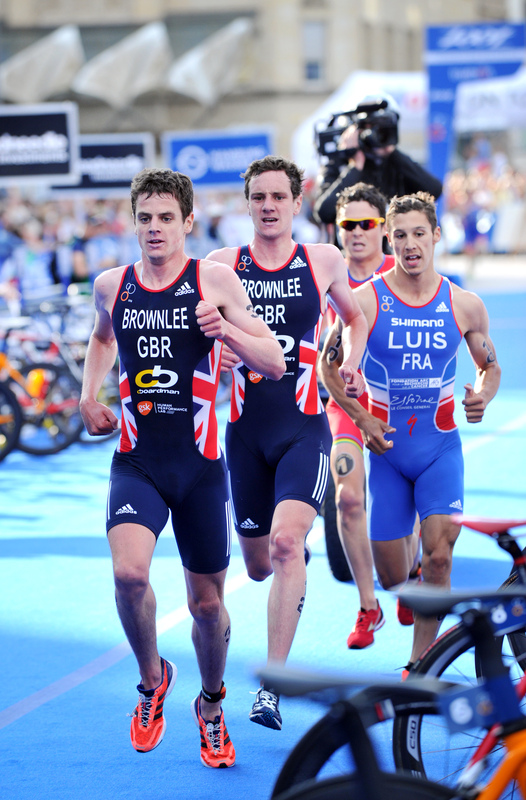 Surprisingly, Jonathan and Alistair temporarily missed the lead group onto the six-lap bike course. 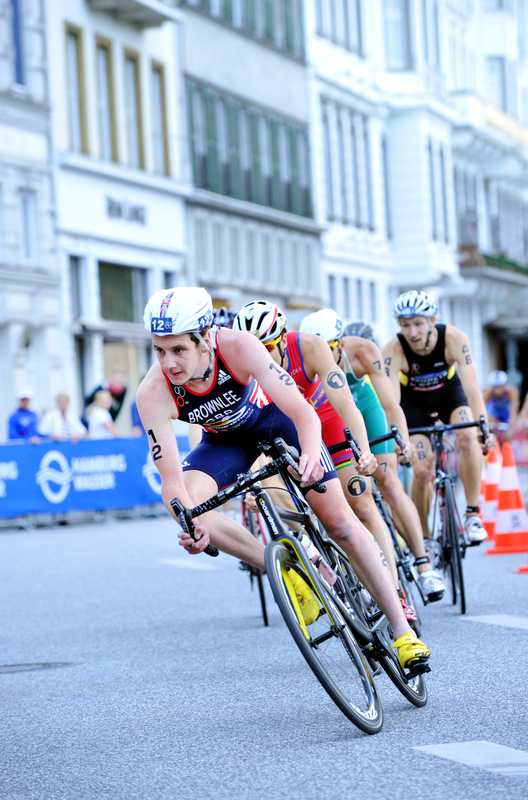 Determined not to miss another podium, Alistair quickly shut down any opportunity the seven leaders had to get away, bridging up in the first lap and pulling the rest of his group with him. 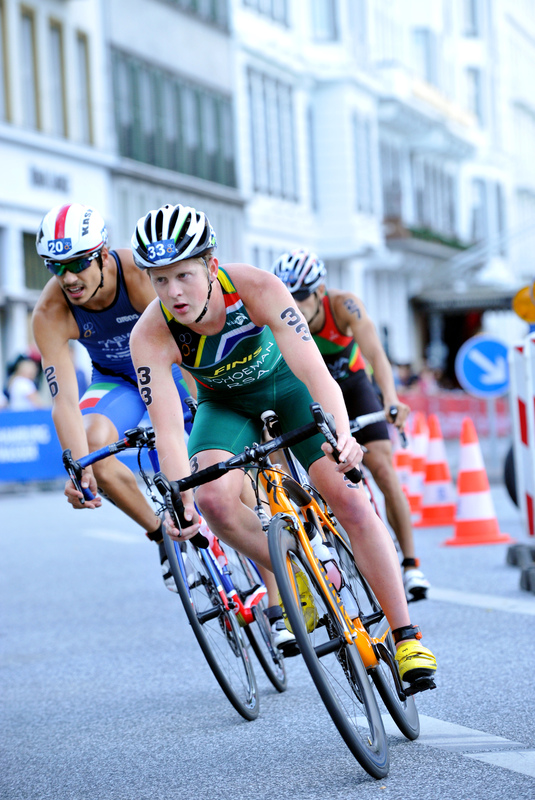 Behind them, Mario Mola (ESP) and Richard Murray (RSA) were not so fortunate, as they were relegated to a chase that fell 25 seconds behind by lap two. 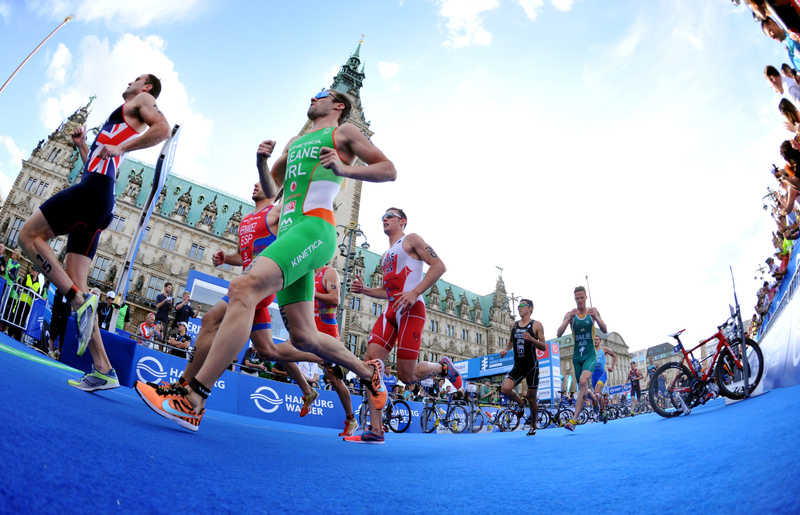 While Murray, Bryan Keane and Dan Wilson (AUS) worked furiously to trim the gap, it grew ever so slightly each lap. 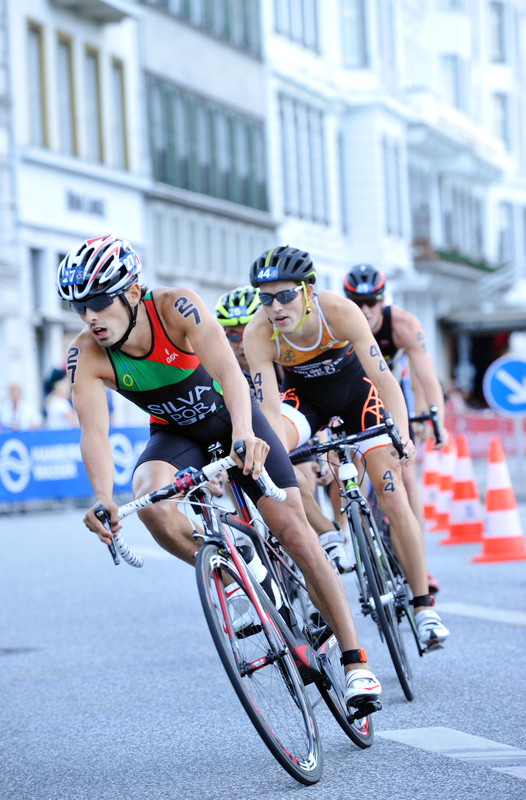 Tucked tightly into the lead pack also sat the dangerous Joao Pereira (POR) and Joao Silva (POR). 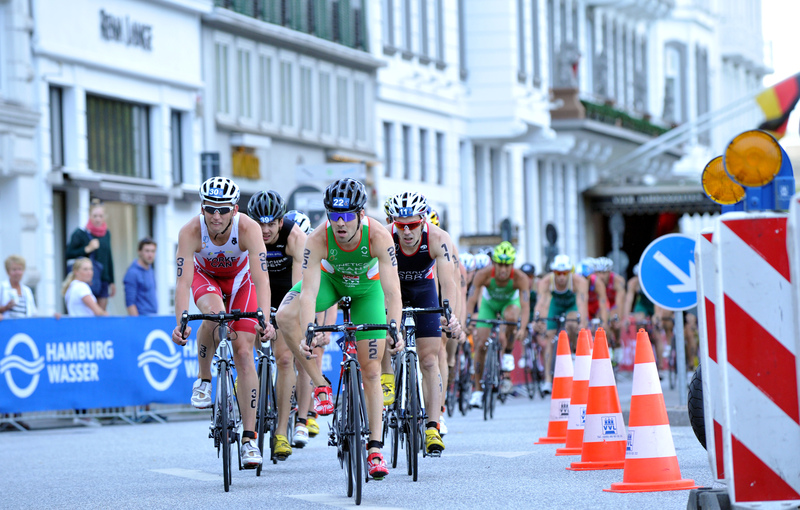 Jonathan and Alistair attempted attack after attack, but each one was answered by the talented Gomez meaning all the men would come into the second transition together, along with local favourite Steffen Justus. 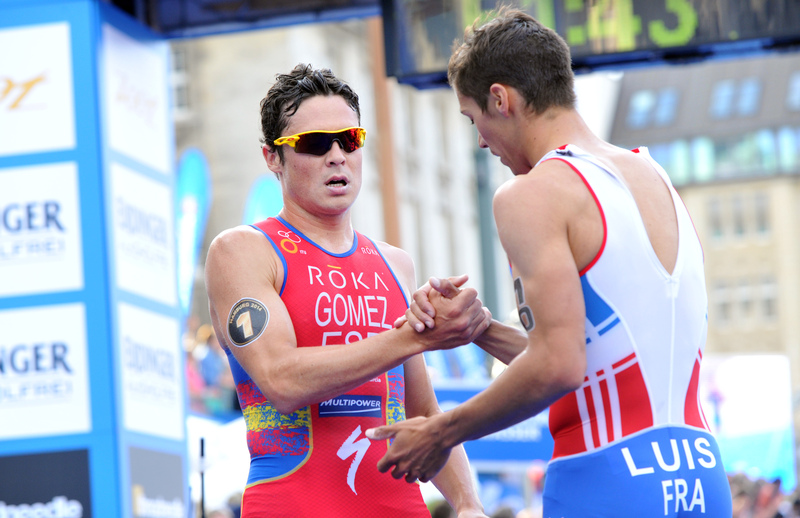 The Brownlees blew through T2 and out onto transition leaving Gomez to fight his way back up, which he did with intention. 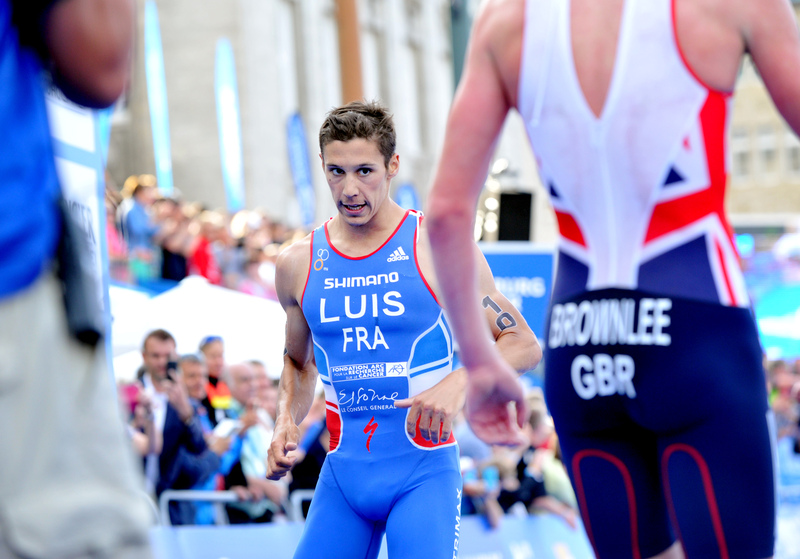 Together with Luis, the four gapped the rest of the men early in the first lap. 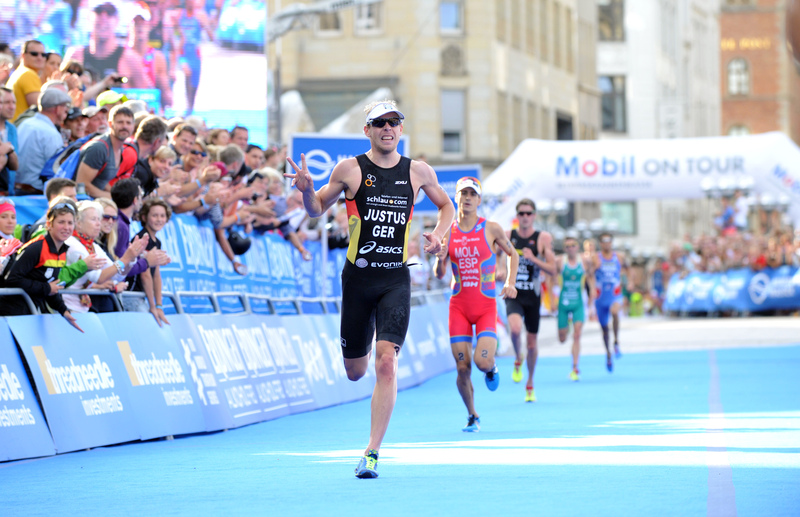 In the final two kilometeres, Gomez started to fall back and the race for the podium was left to three. 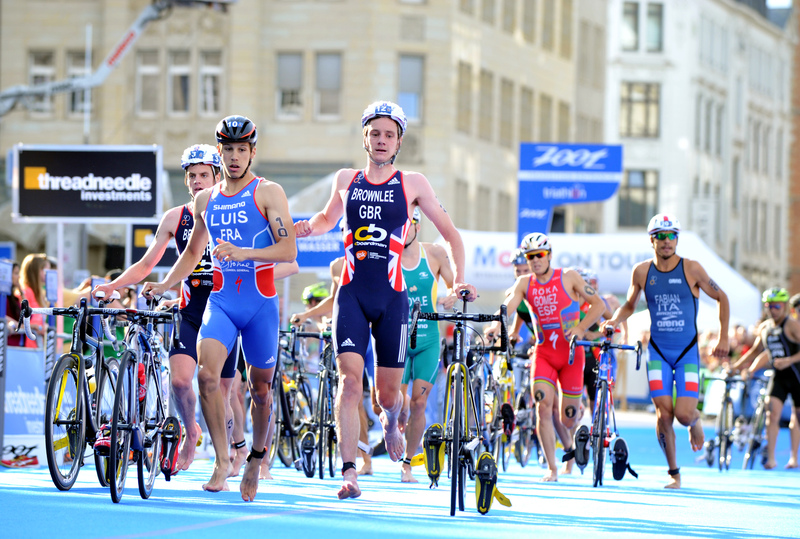 Knowing his sprint wasn’t as powerful as either his brother or Luis, Alistair made his move with 600m to go and did enough to stay ahead, despite a last minute surge from Luis. 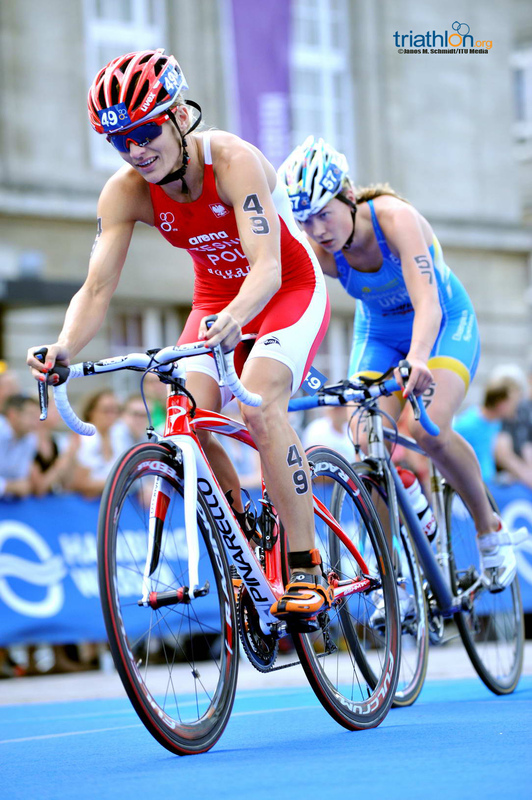 The Frenchman claimed silver, his second World Triathlon Series medal in a sprint race, after collecting bronze in Stockholm in 2012. 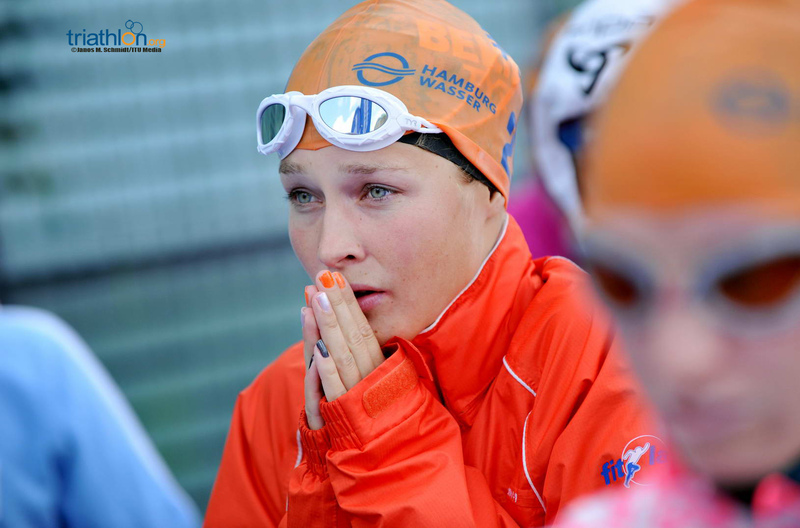 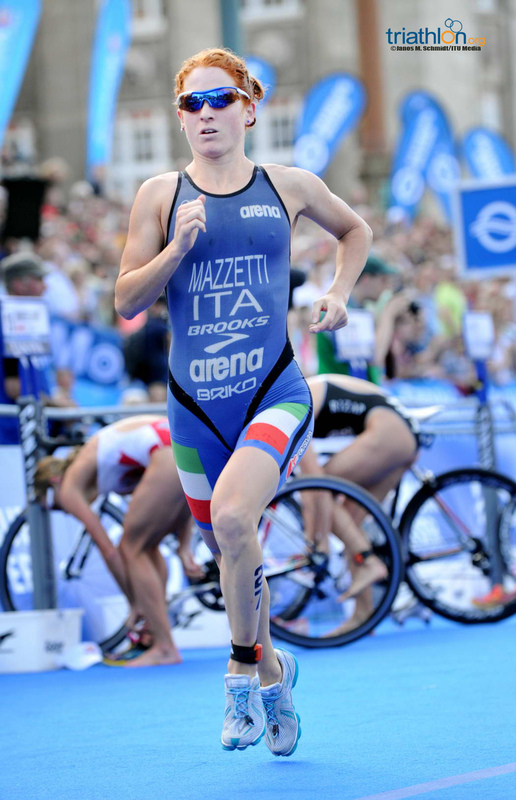 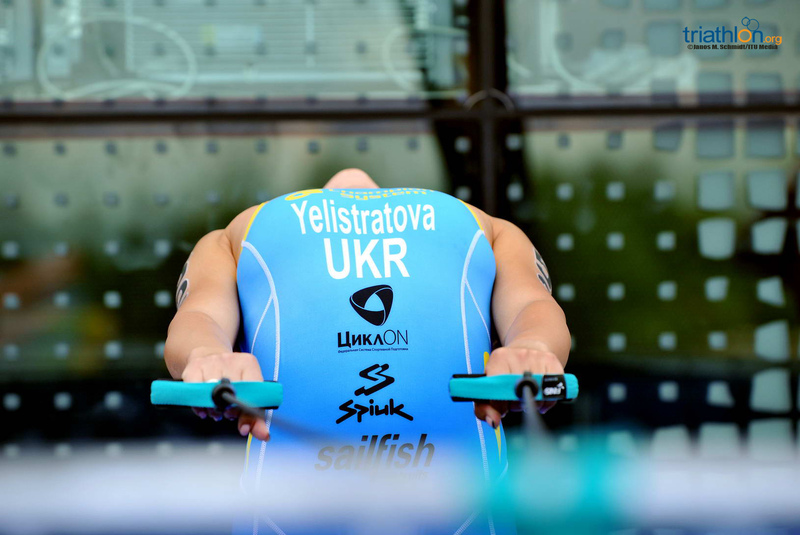 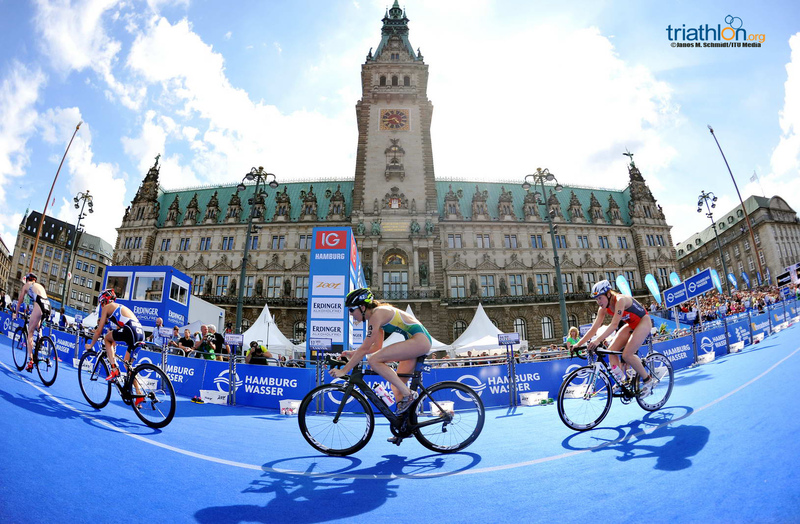 In addition to the men’s and women’s elite races that will compete as a part of the World Triathlon Hamburg this weekend, the fifth edition of the Mixed Relay World Championship title will be decided on Sunday. 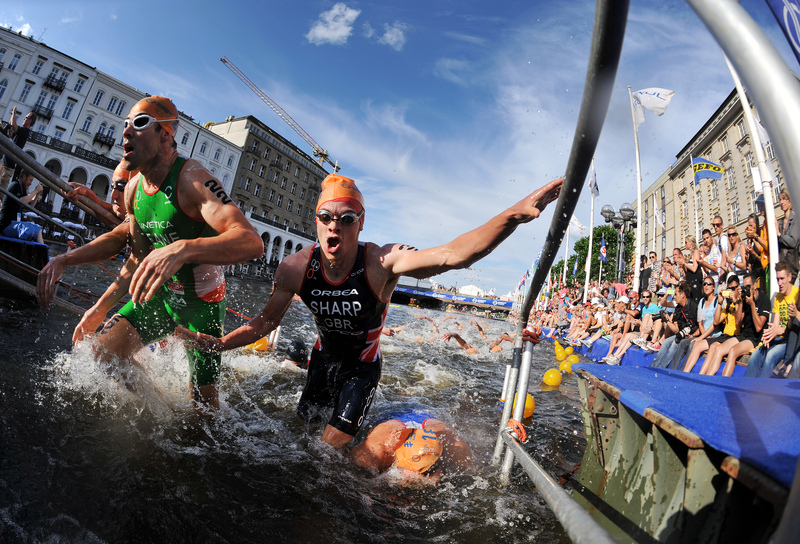 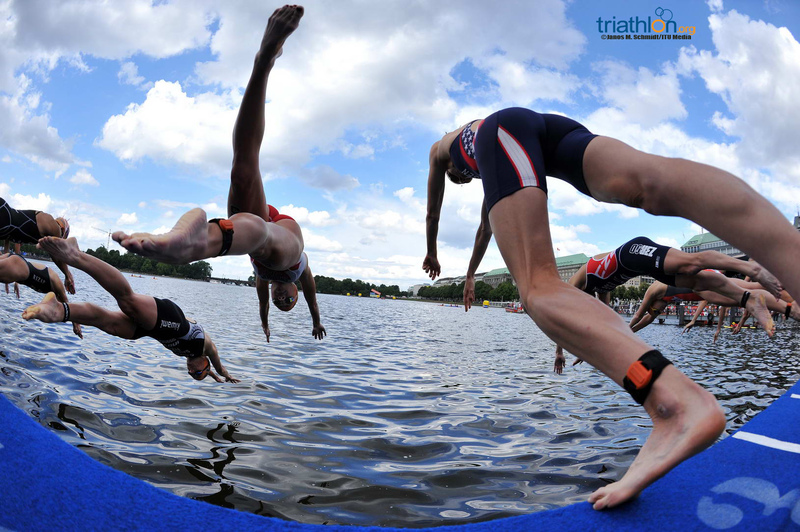 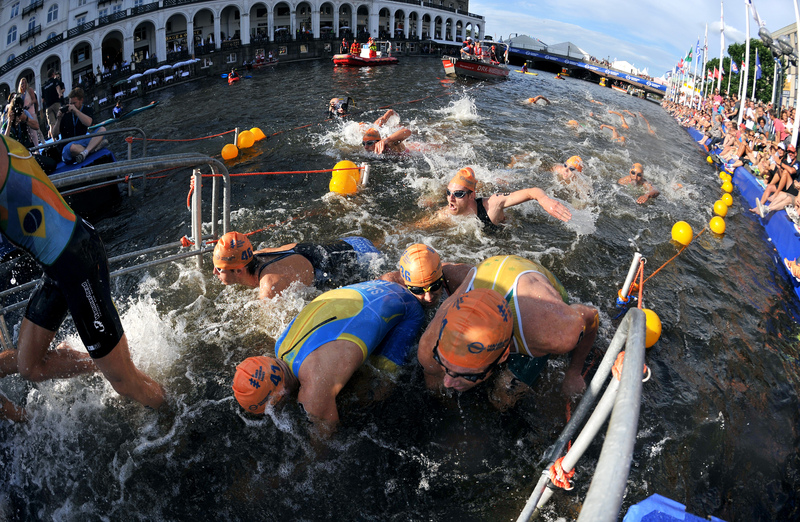 All of the big players in the men's race will meet in Hamburg for a mighty quick splash and dash sprint race that promises to be a nail-biter as the Series comes down to just three races left. 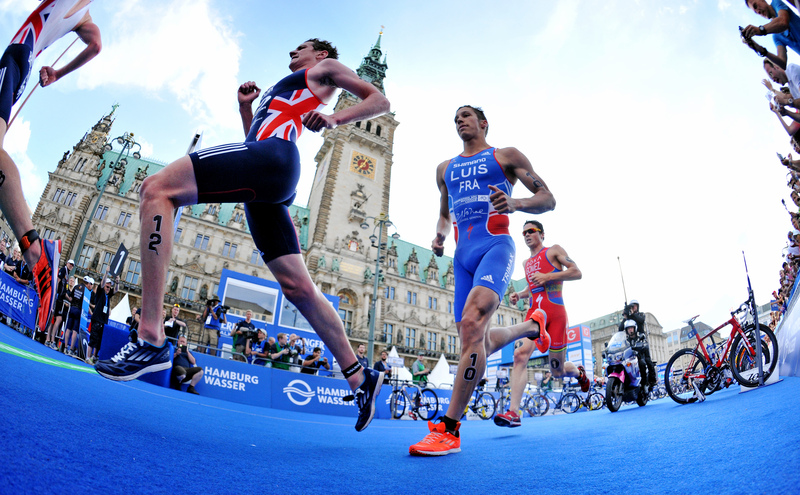 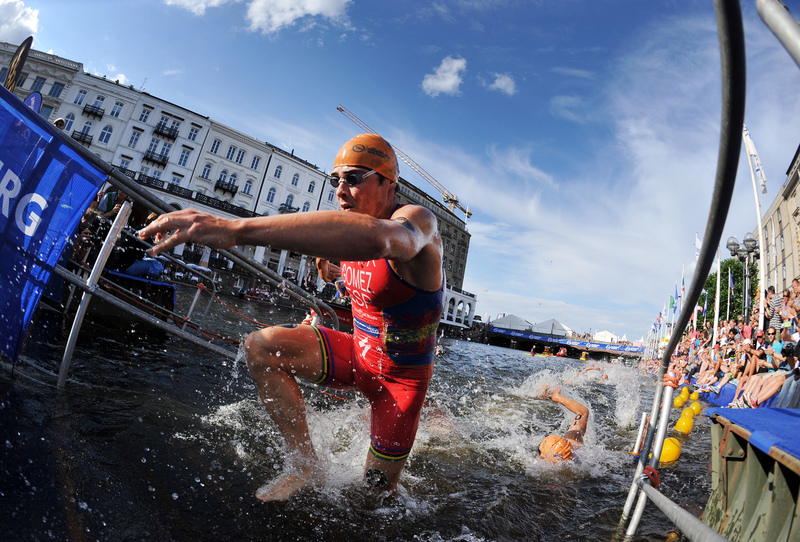 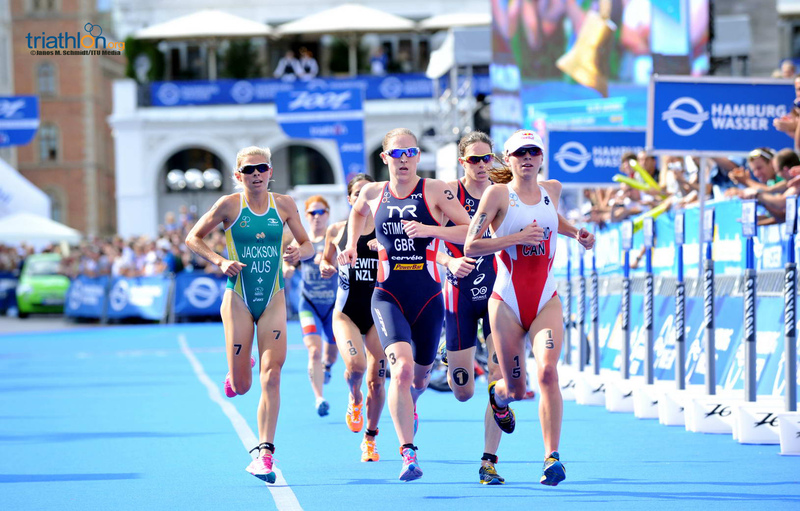 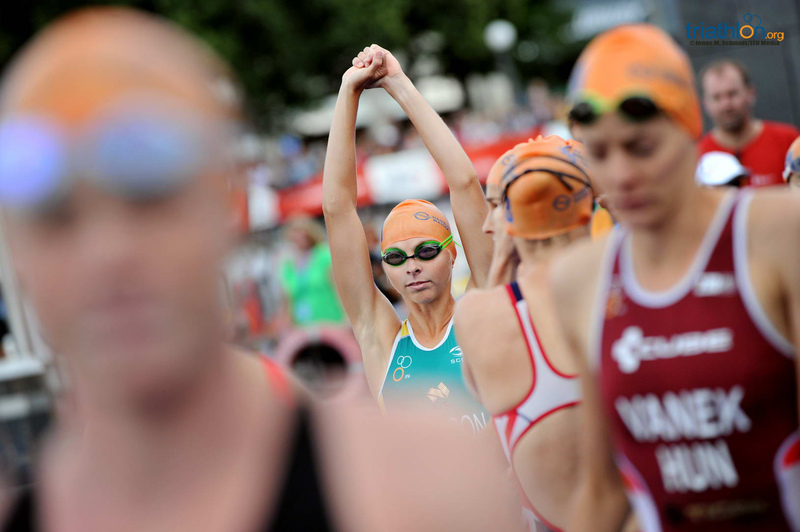 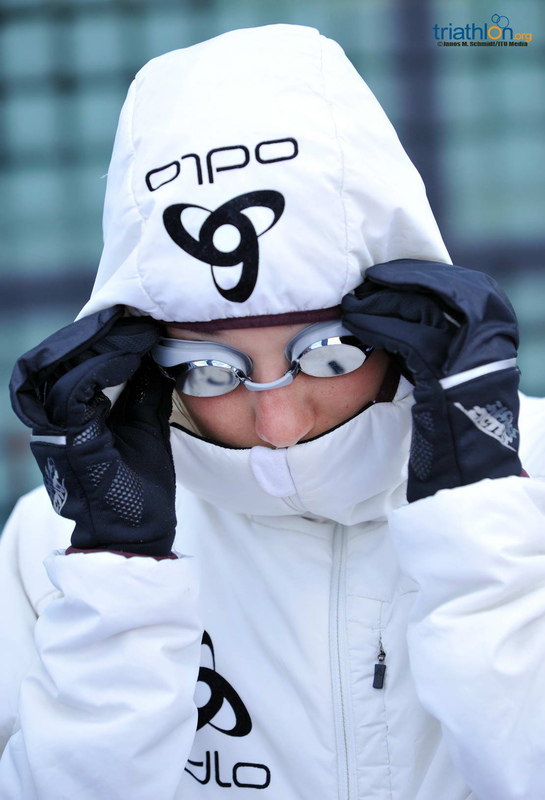 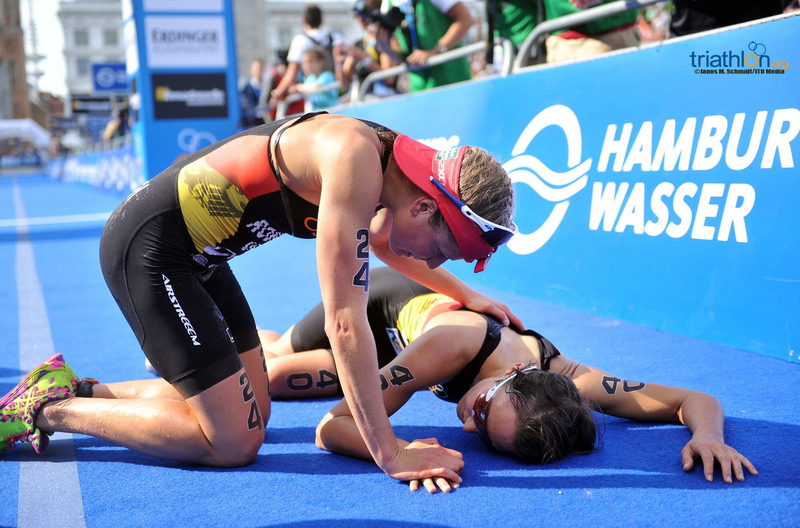 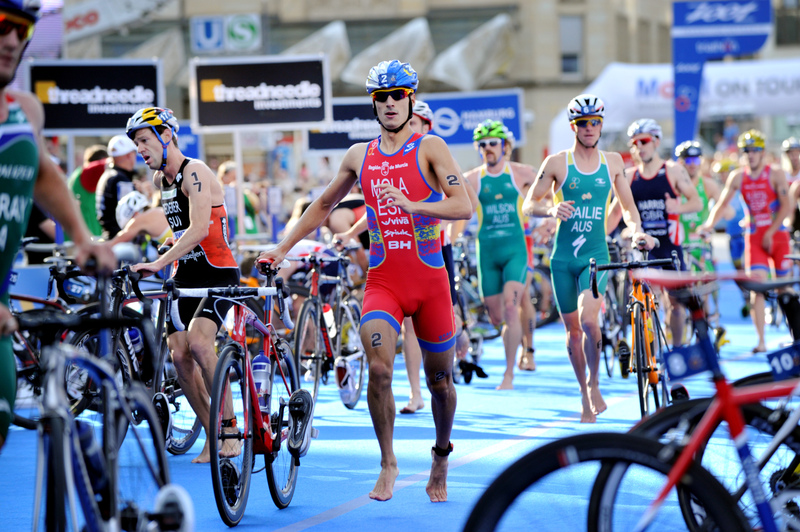 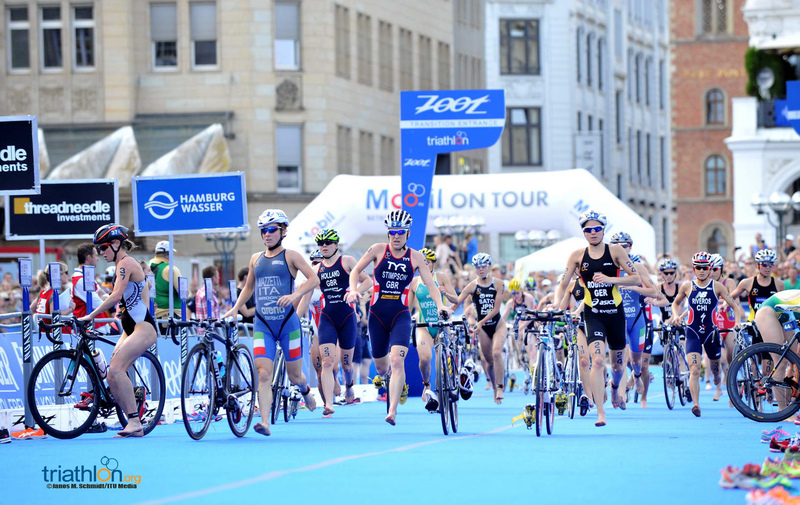 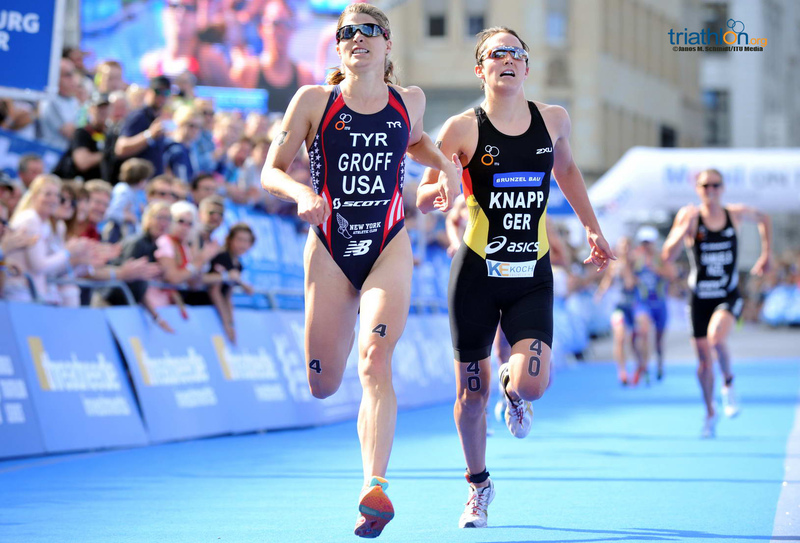 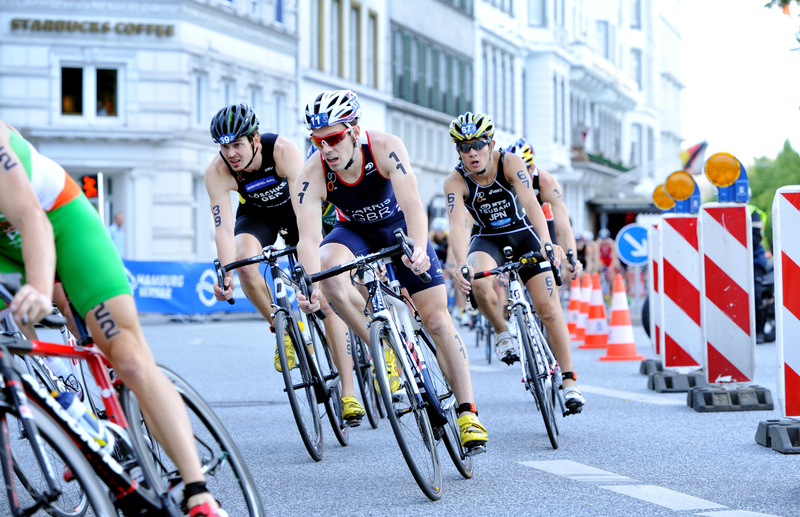 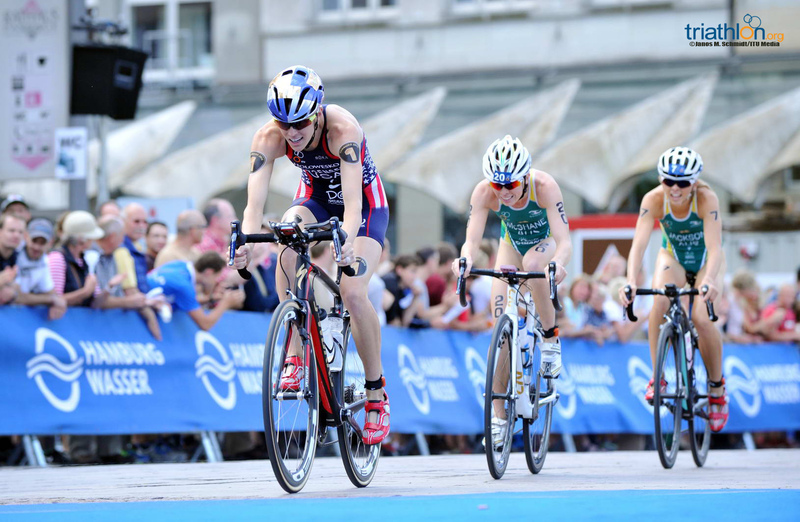 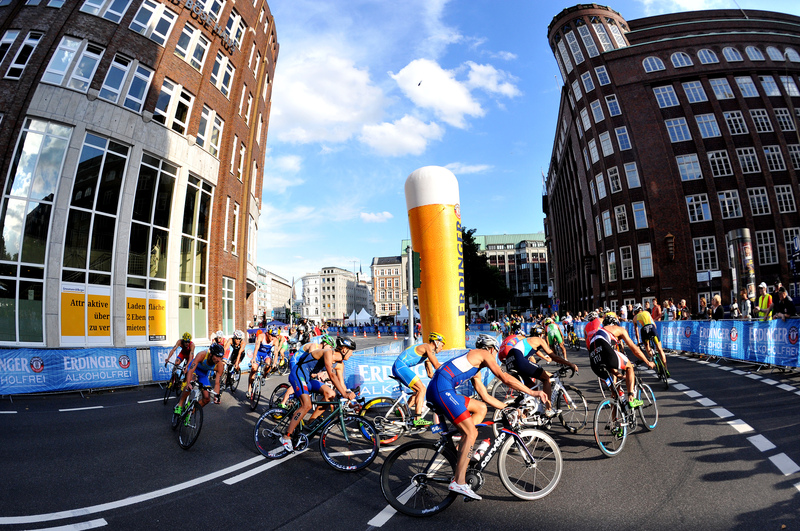 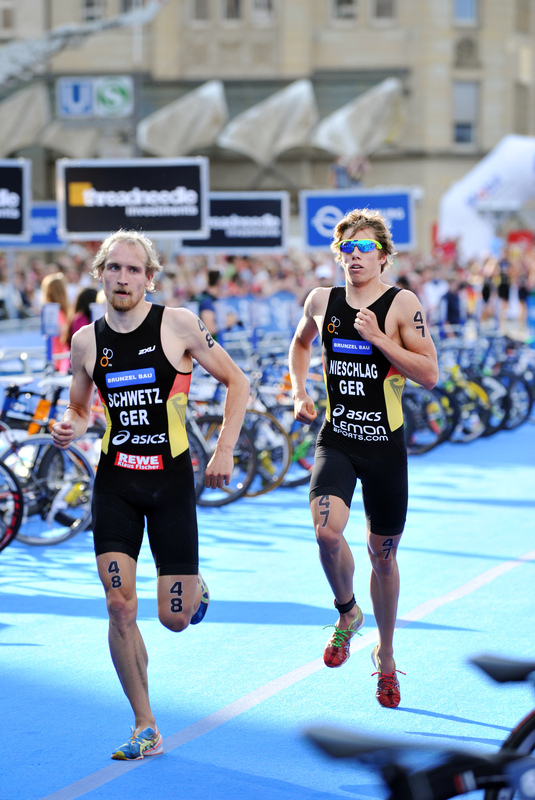 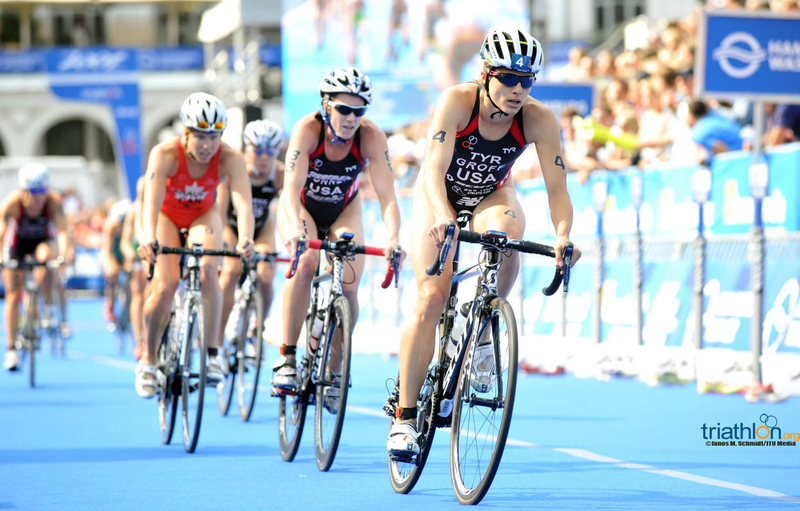 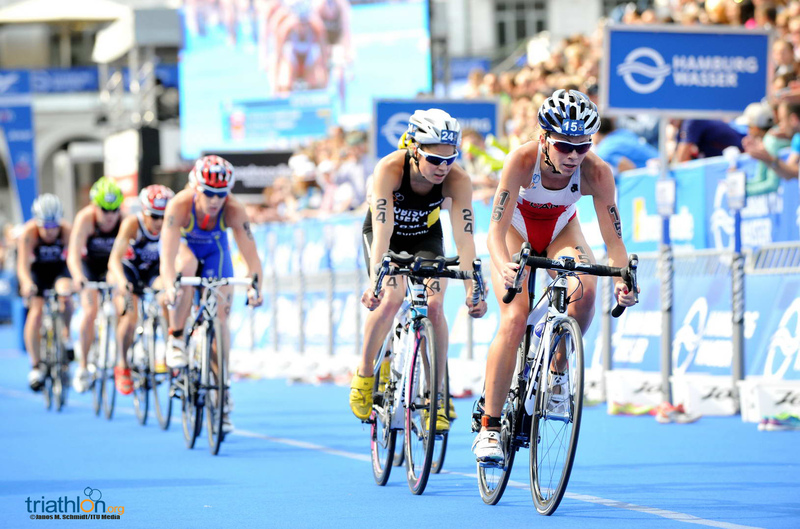 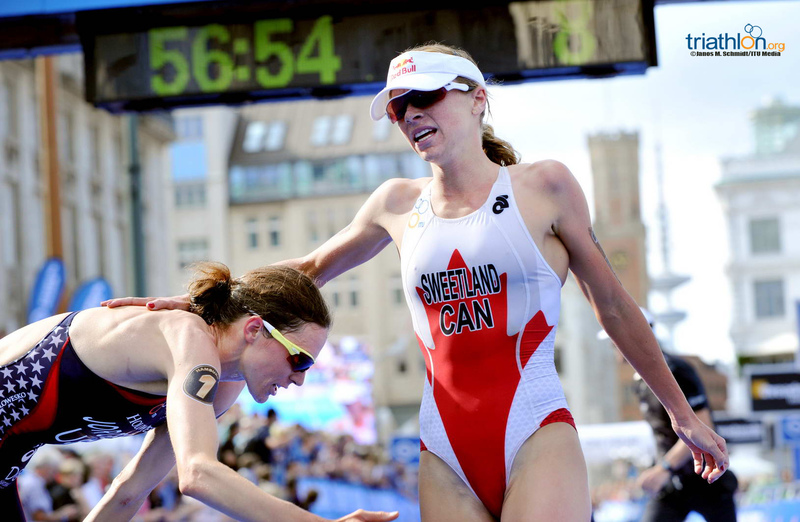 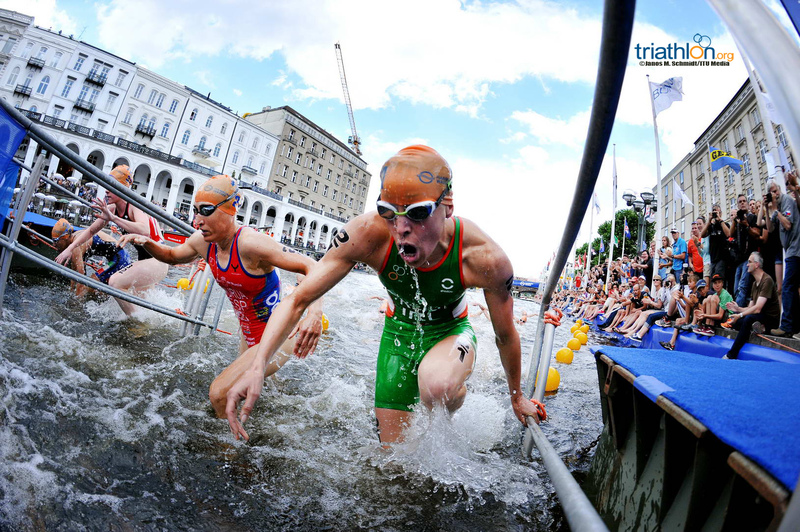 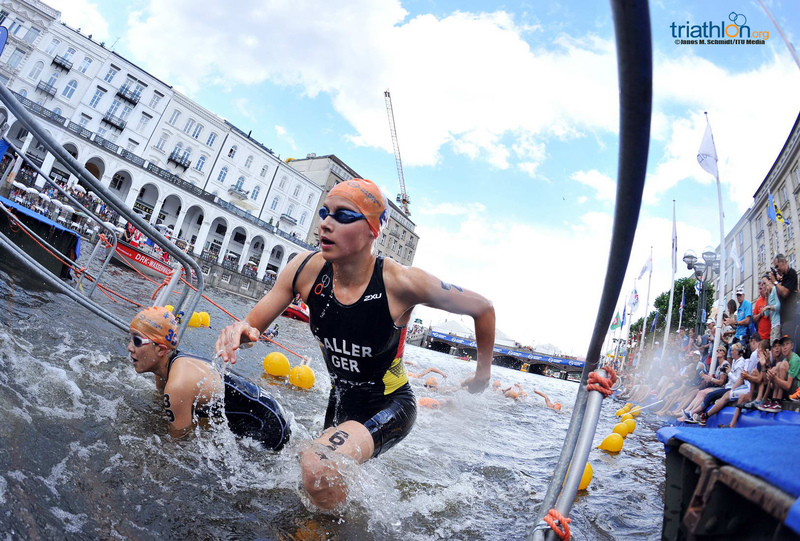 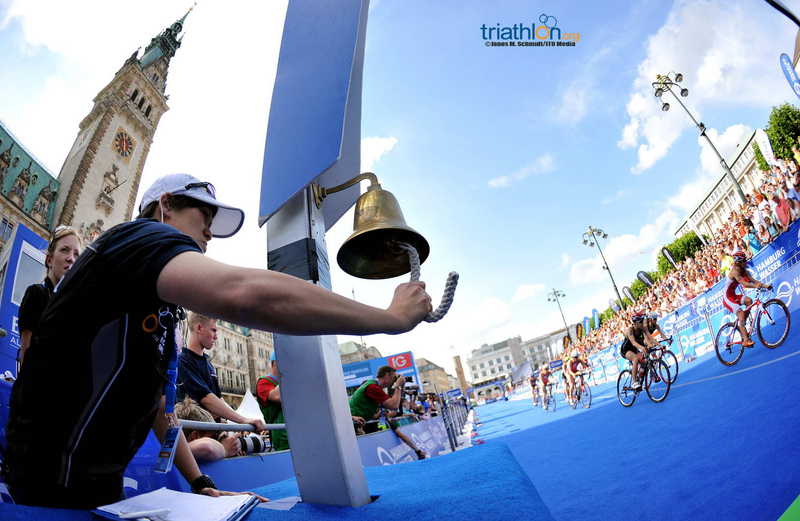 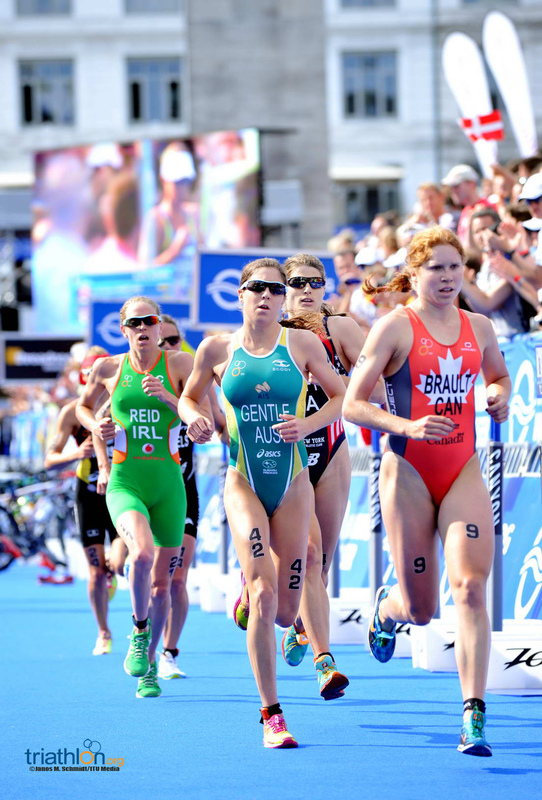 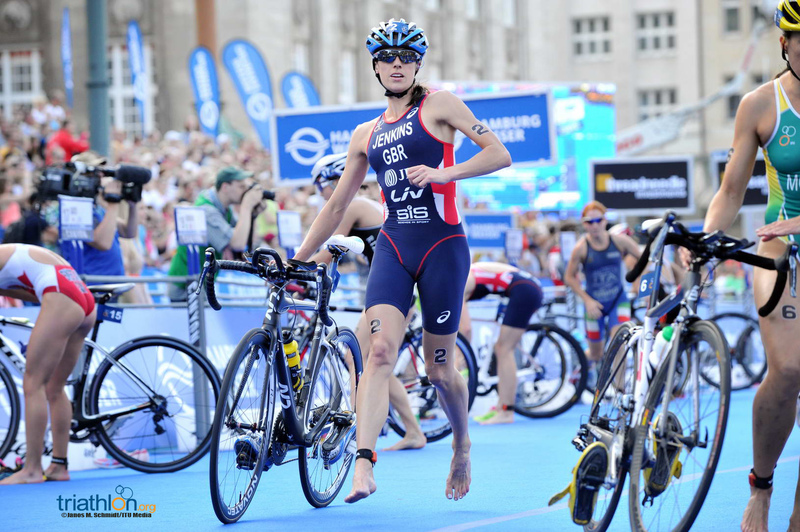 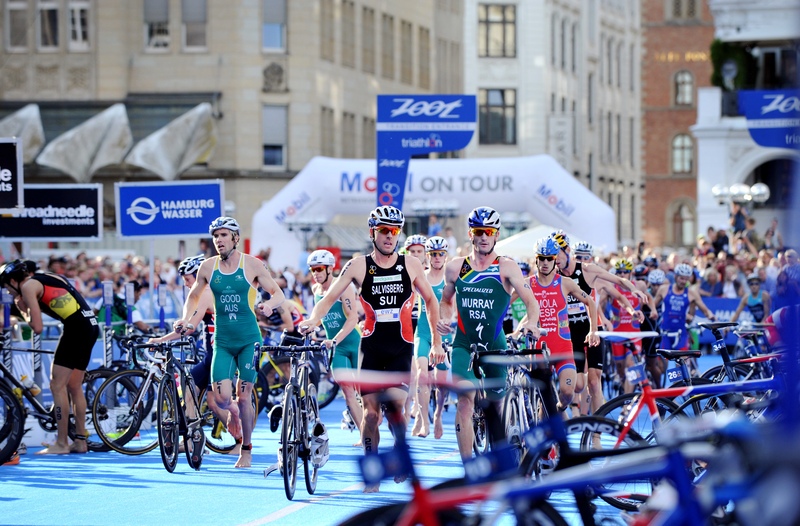 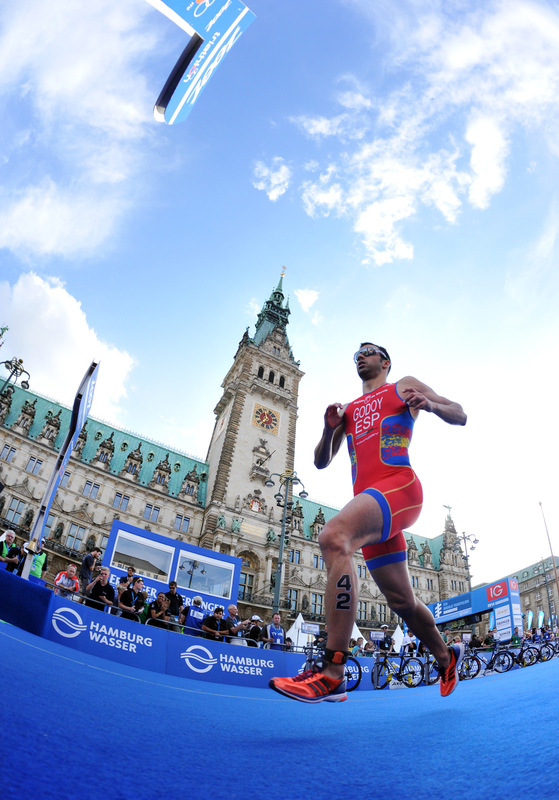 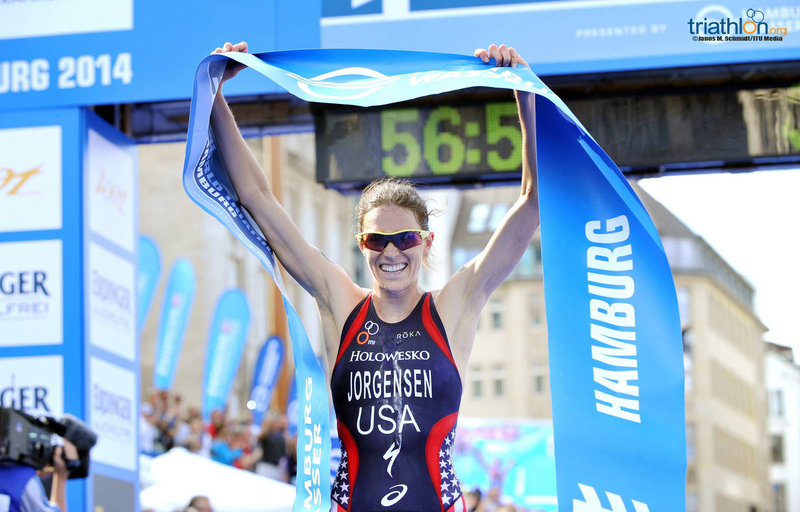 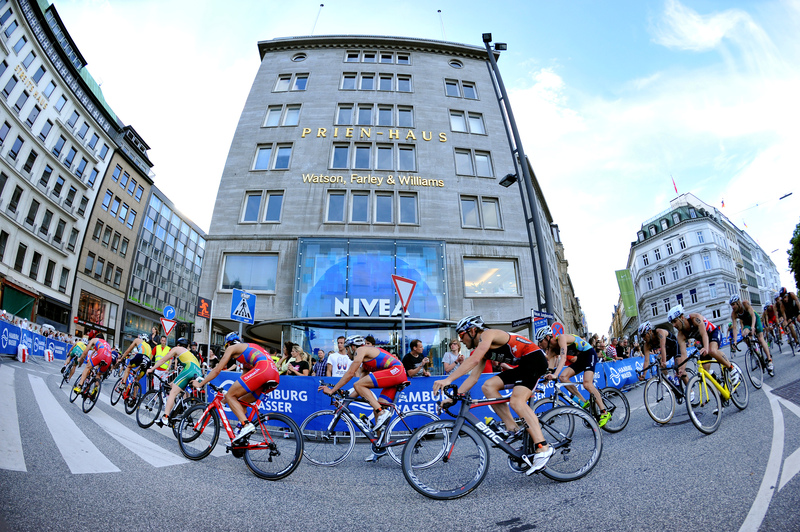 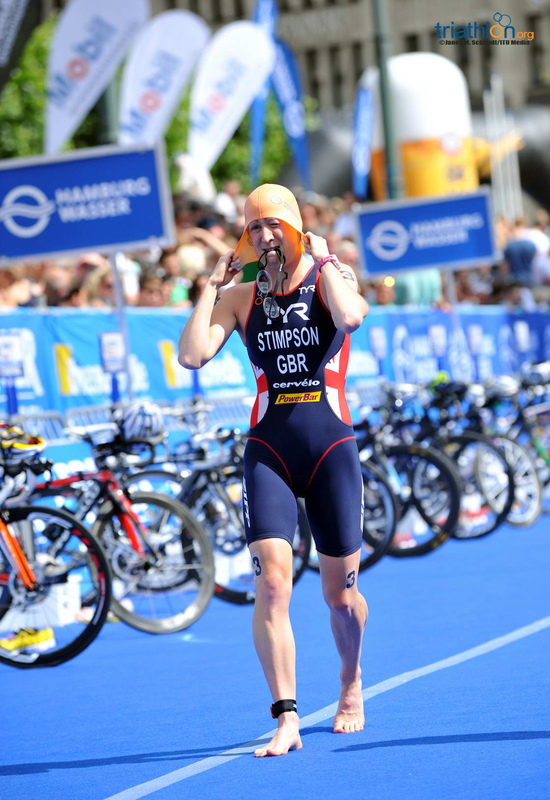 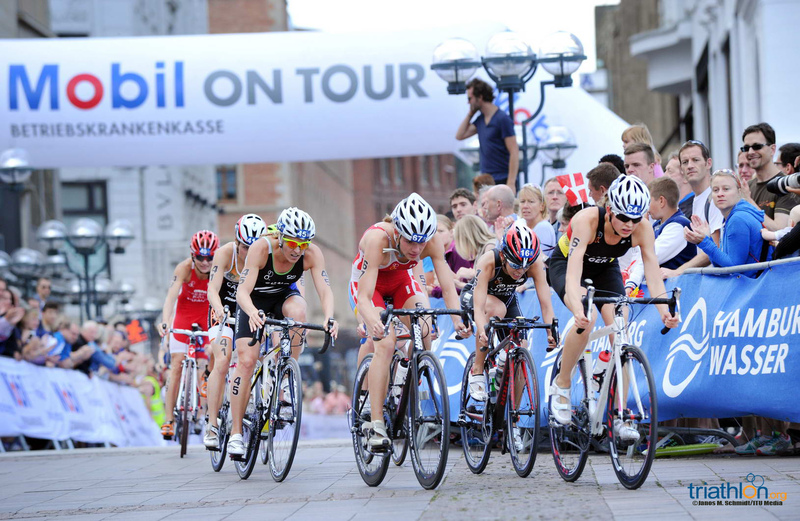 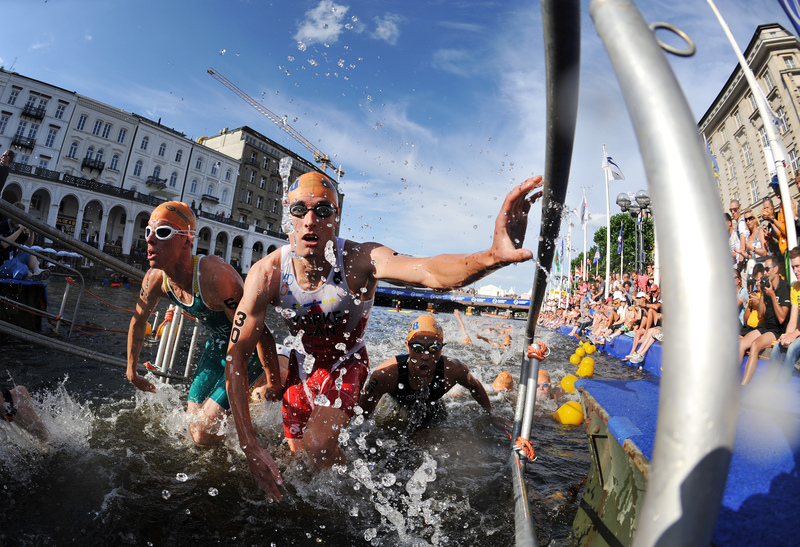 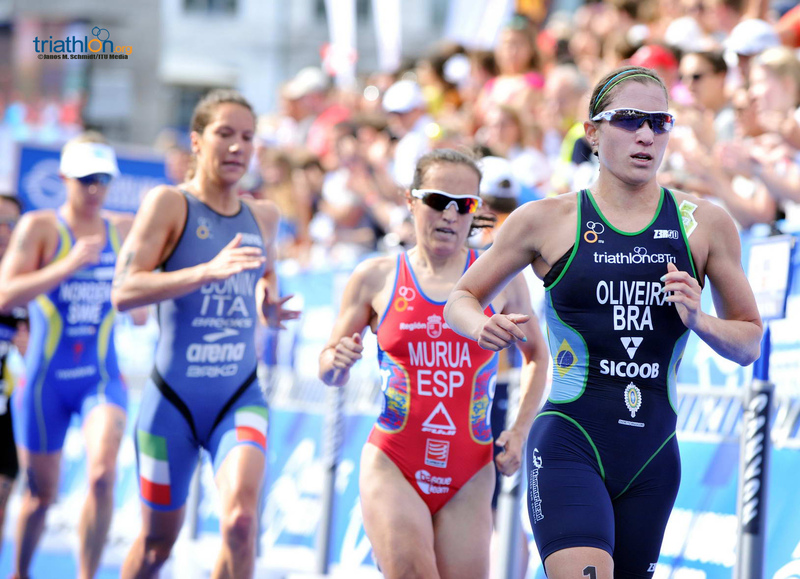 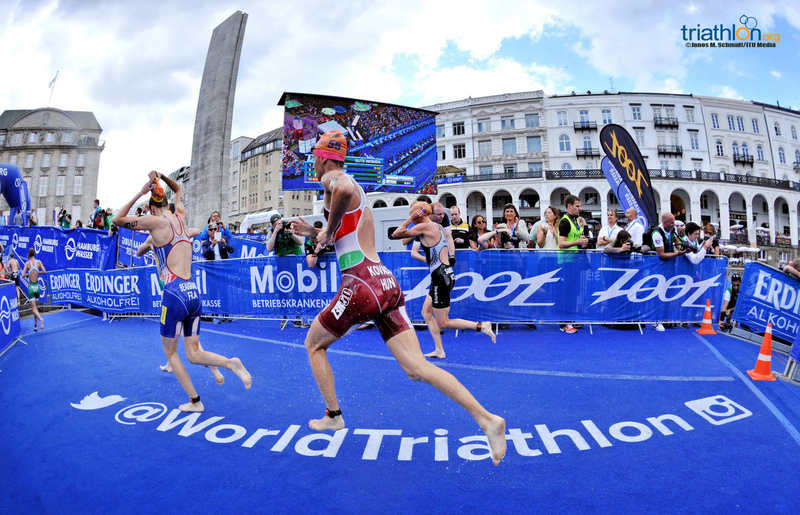 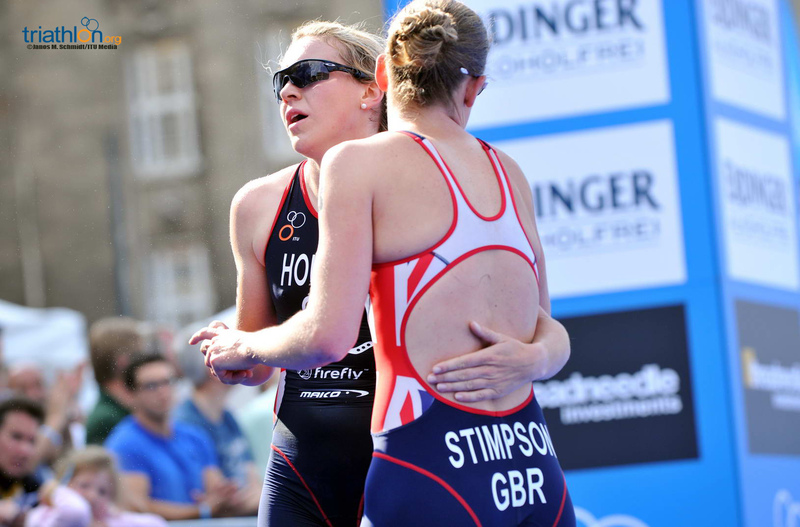 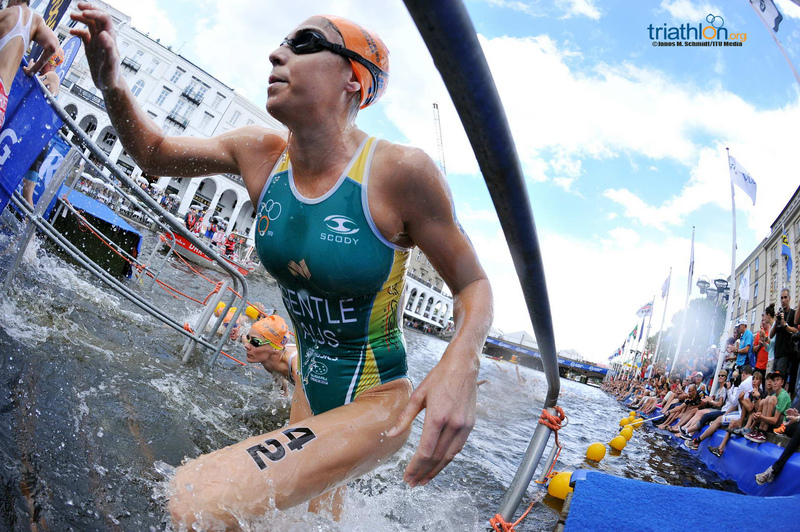 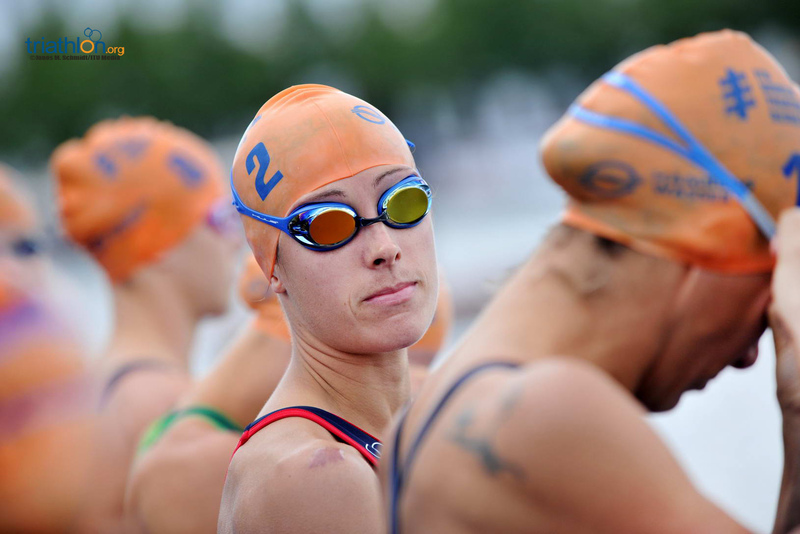 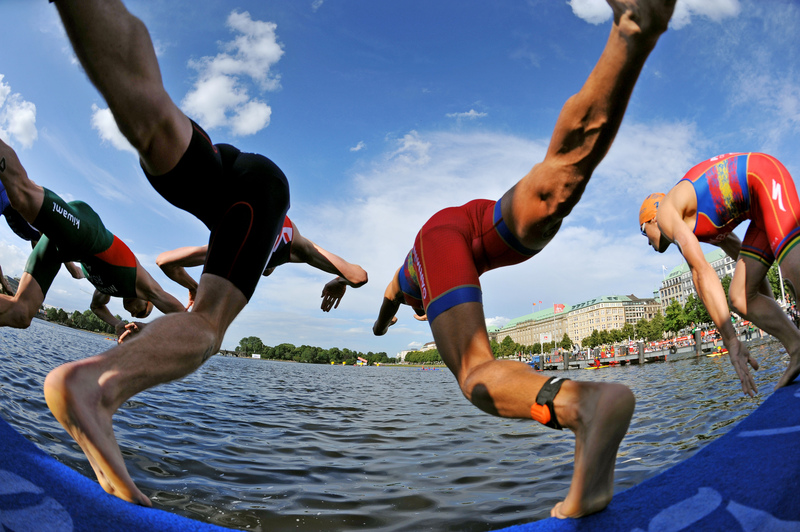 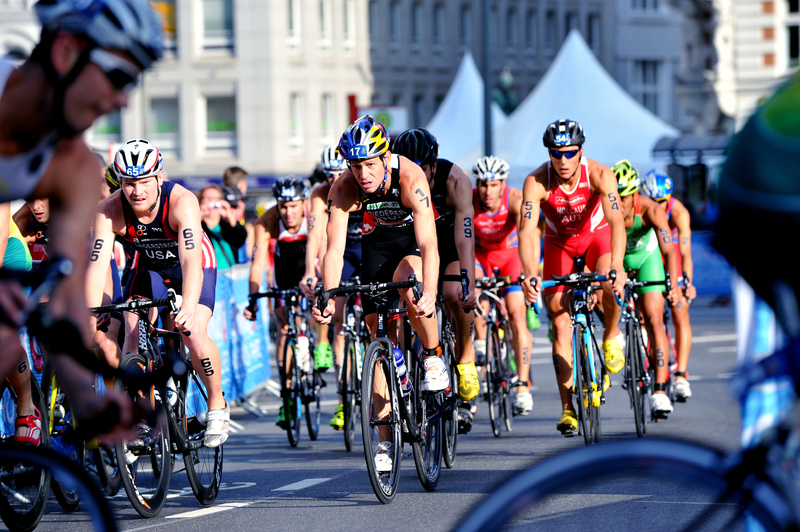 In its fifth year on the World Triathlon Series calendar, Hamburg will again serve up double the dose of action with a fast and furious sprint elite races followed by the Mixed Relay World Championships.